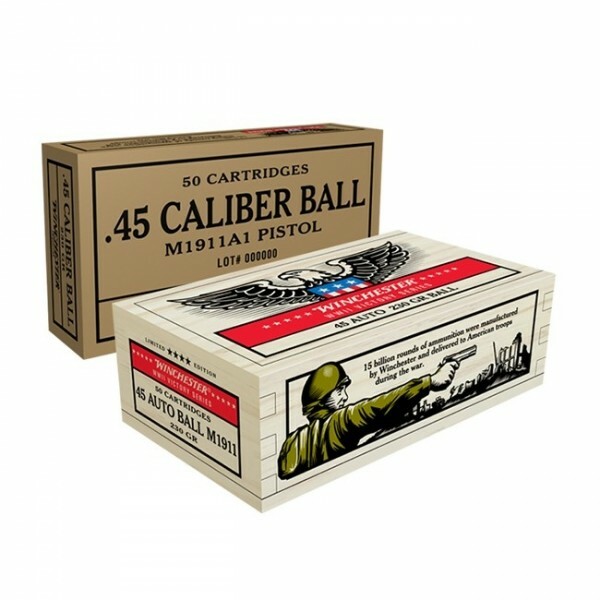 Limited Edition Ammunition Winchester WWII Victory Series 45 ACP 230 Grain Ammunition With Collector Carton & Wood Box. Box of 50 rounds. Winchester X45WW2. Limited Edition Ammunition Now In Stock. 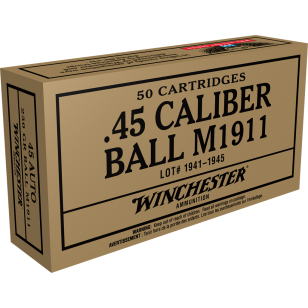 Winchester Introduces its WWII Victory Series Ammunition, a One-of-a-Kind Collectible. 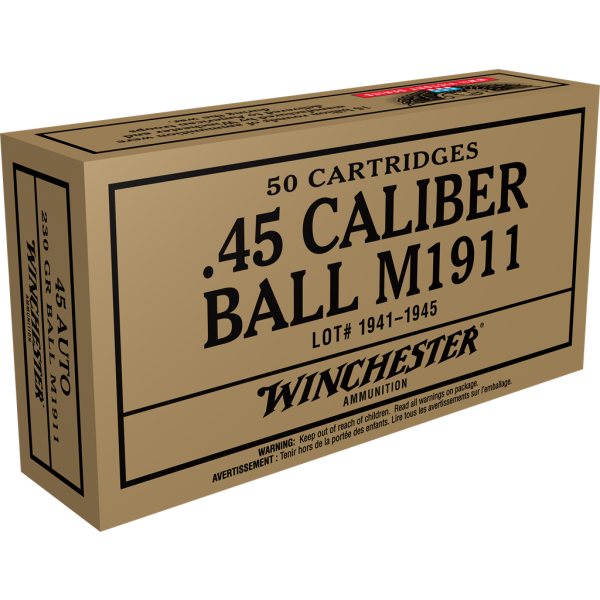 Winchester pays honor to the anniversary of World War II with its Victory Series ammunition, specially packaged in collector’s cartons and wood boxes. All ammunition as part of the series will also include special head stamps and period correct load specifications. AMMUNITION WARNING!. You must be at least 21 Years Old to purchase ammunition. All ammunition will be shipped ground UPS. Hazardous materials cannot be shipped by any Air Service. For safety reasons, we do not accept returns on ammunition. All Ammunition that we sell is brand new, factory loaded product. Always make sure you use the correct ammunition for your specific firearm. Check your local laws for any other regulations. No Sales Will Be Made To Restricted Areas. For age verification, a copy of a valid drivers license or state issued ID is required for your initial purchase of ammunition from GilbertsGuns.com. All identification numbers can be covered up, we simply need the see date of birth. No Ammunition Sales Made To Alaska, DC, Hawaii, Massachusetts, New Jersey & New York. Ammunition Will NOT Be Shipped Without Proper Identification. In some states additional restrictions apply: Illinois residents must provide copy of FOID card.